Lunch was Micro Green Salad and Hearty Vegetable Miso Soup. Dinner was Mediterranean Roasted Beets, Collard Greens, and Quinoa. I’m definitely getting burned out in the kitchen. To be on such a strict schedule with my supplement intake and preparing such elaborate meals it’s a lot of work for a mom trying to take care of a family. 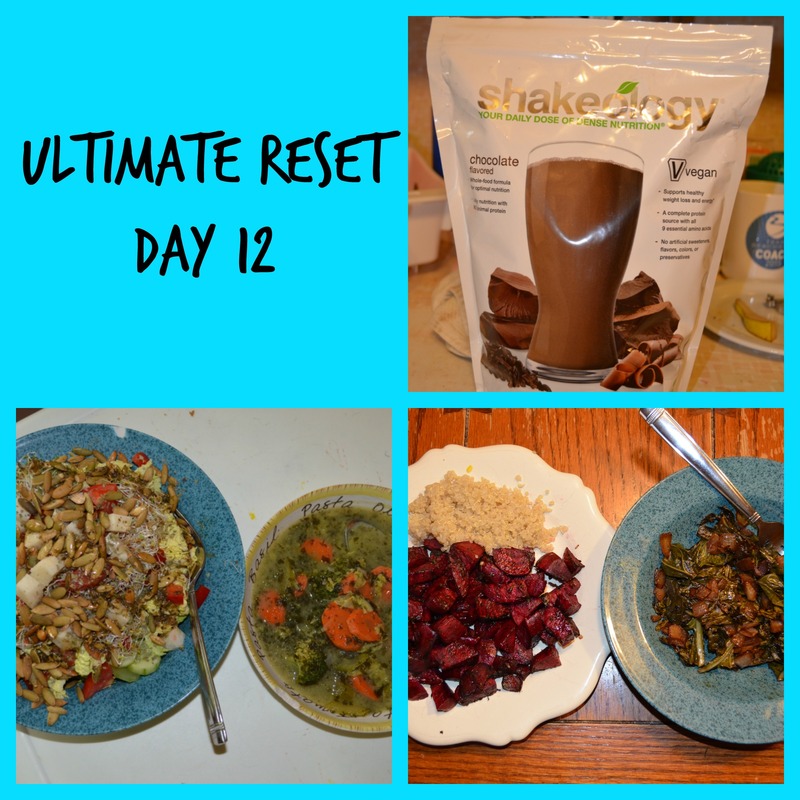 I’m glad I’m doing this Reset, it has provided me many new menu ideas and also taught me a lot about water consumption and how my body can get feed well without animal proteins.